Ever since its introduction in the seminal article of Erdős and Rényi (1959) a random graph has become a very popular tool in modeling complicated stochastic structures. 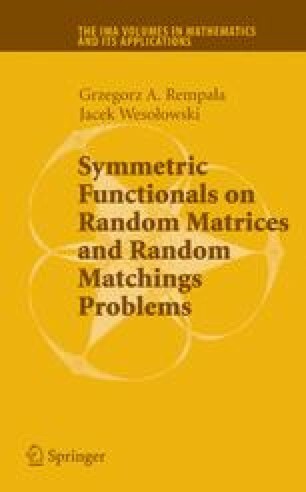 In particular, a bipartite random graph has become an important special case arising naturally in many different application areas amenable to the analysis by means of random-graph models. The use of these models have been steadily growing over the last decade as the rapid advances in scientific computing made them more practical in helping analyze a wide variety of complex stochastic phenomena, in such diverse areas as the internet traffic analysis, the biochemical (cellular) reactions systems, the models of social interactions in human relationships, and many others. In modern terms these complex stochastic phenomena are often referred to as the stochastic complex systems and are typically characterized by the very large number of nonlinearly interacting parts that prevent one from simply extrapolating overall system behavior from its isolated components.